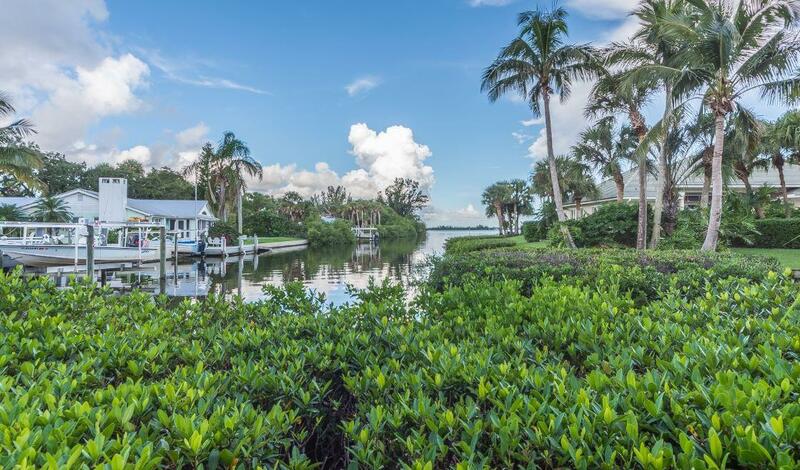 Exceptional 161 ft waterfront opportunity. Nestled under the oaks on coveted Club Drive, this 3 bedroom, 3 bath plus den/4th bedroom sits on a huge, serene .53 acre lot w/sweeping lawn to the water and covered boat house. Large swimmers pool with jacuzzi. Sleek granite kitchen, beamed ceilings, Spanish tile floors, fireplace, beachy vibes through out, brick paver terrace. The ultimate retreat in a fantastic location.